Just a reminder that the next Heroes Discussion Group will take place on Saturday September 1st at 1:00pm. 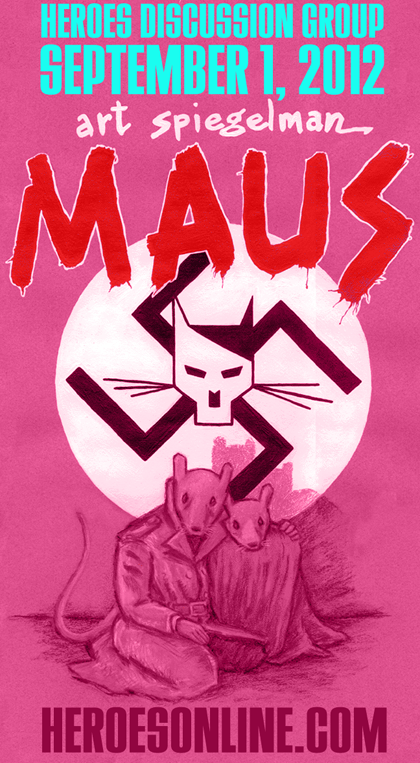 We will be discussing the Pulitzer Prize winning graphic novel MAUS by art spiegelman. A few quick thoughts upon a second reading. The use of the multiple narrators. Is this the story of a survivor or the story of someone growing up with a survivor? Is this truly a biography? I don’t believe this is picking nits–we are affected by the way the story is told to us. This is a topic that needs to be examined.